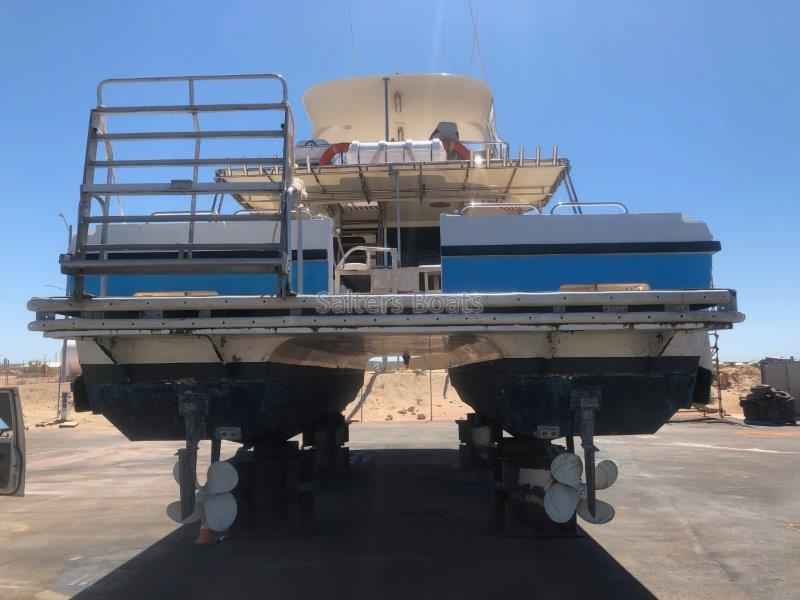 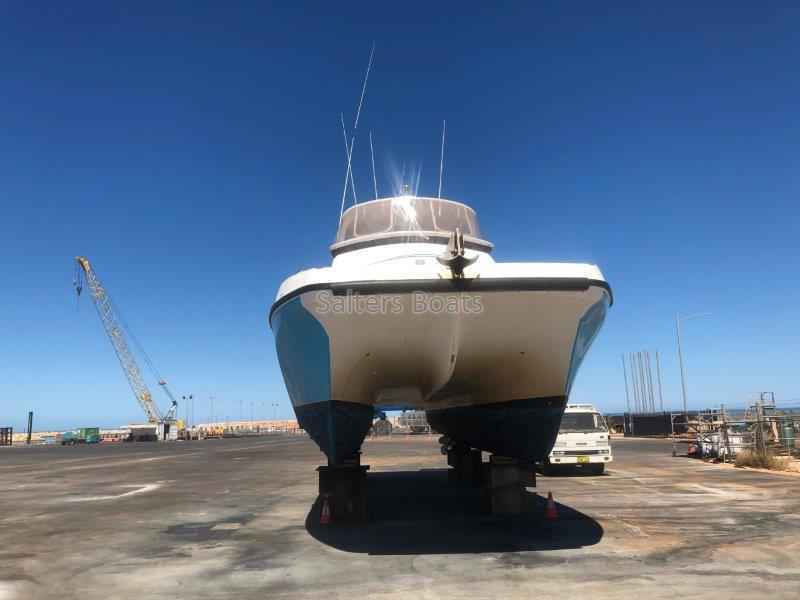 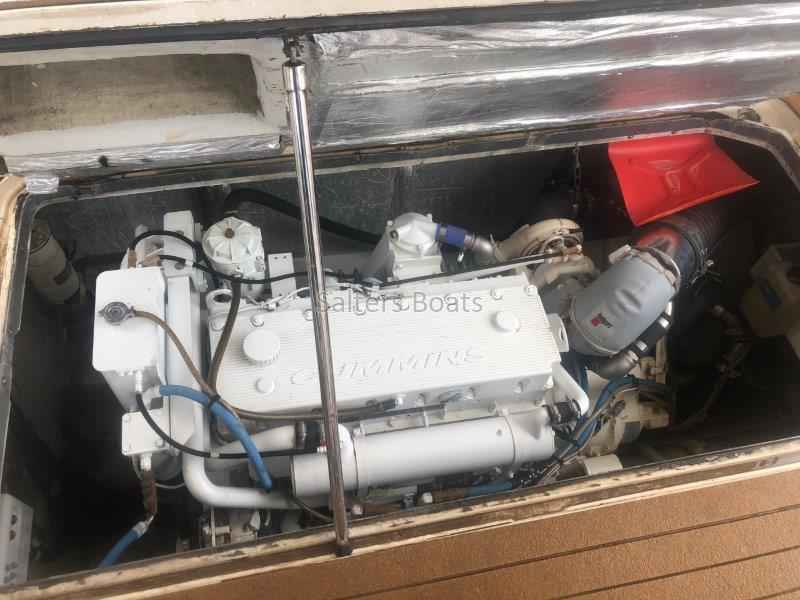 This unique vessel was built by Cougar Catamarans in 2006, and repowered in 2017 with twin Cummins QSM 11’s de-rated to 450Hp giving 24 knots. 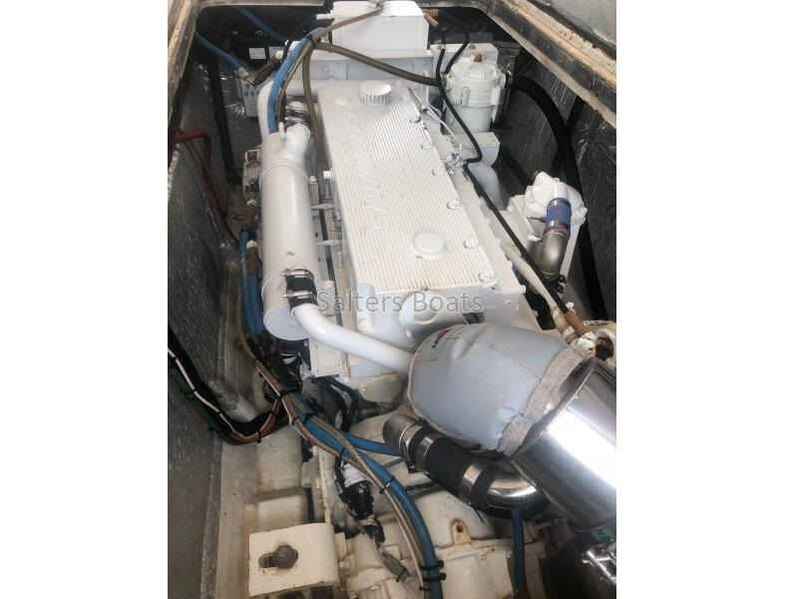 Mase genset. 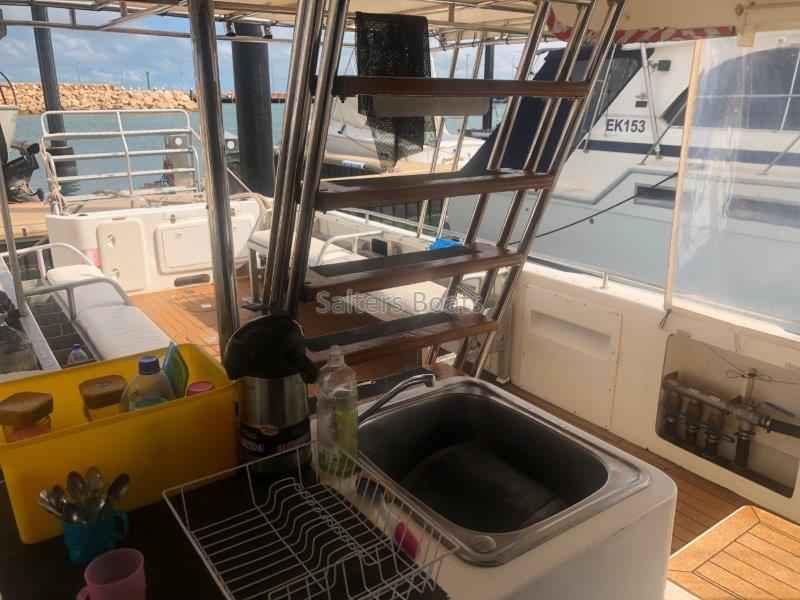 1B survey for 30+2 & 1D 46+3. 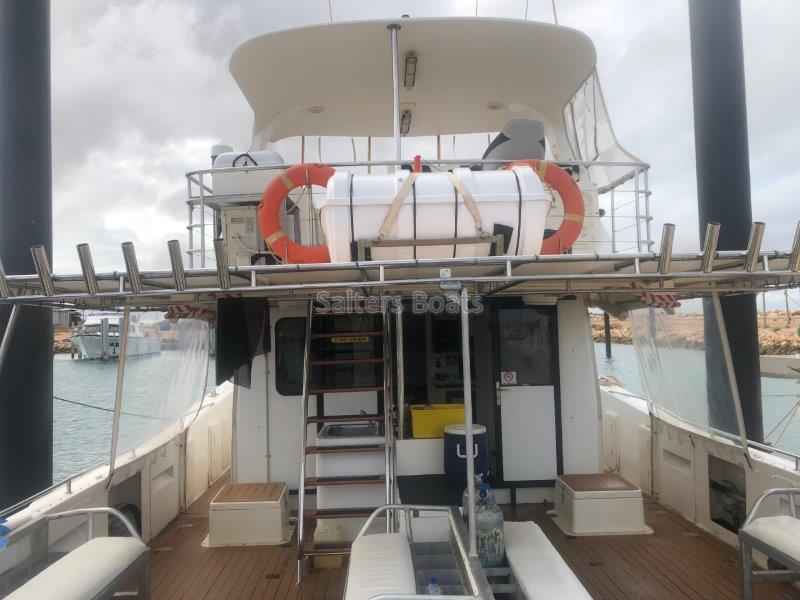 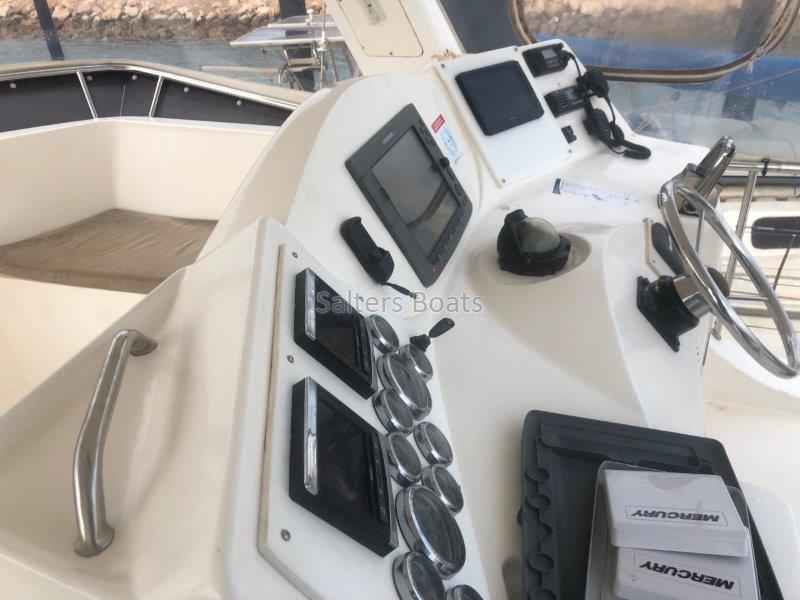 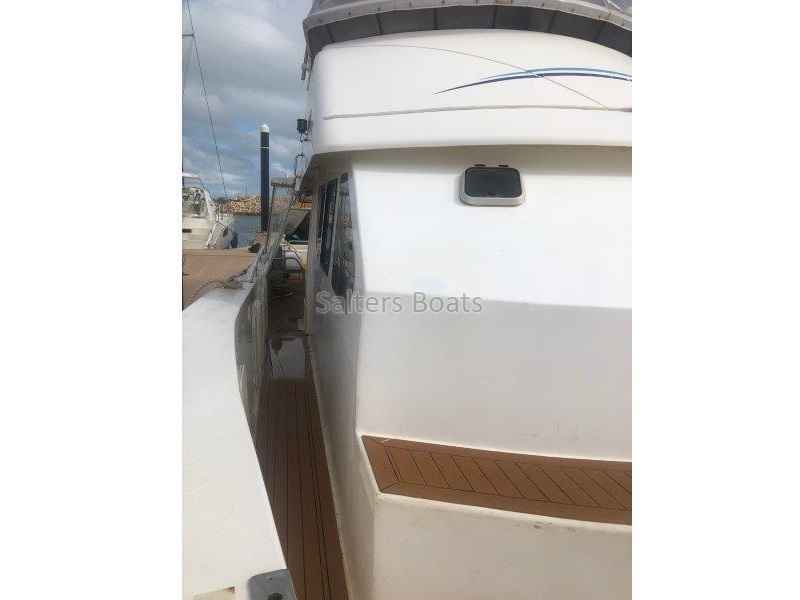 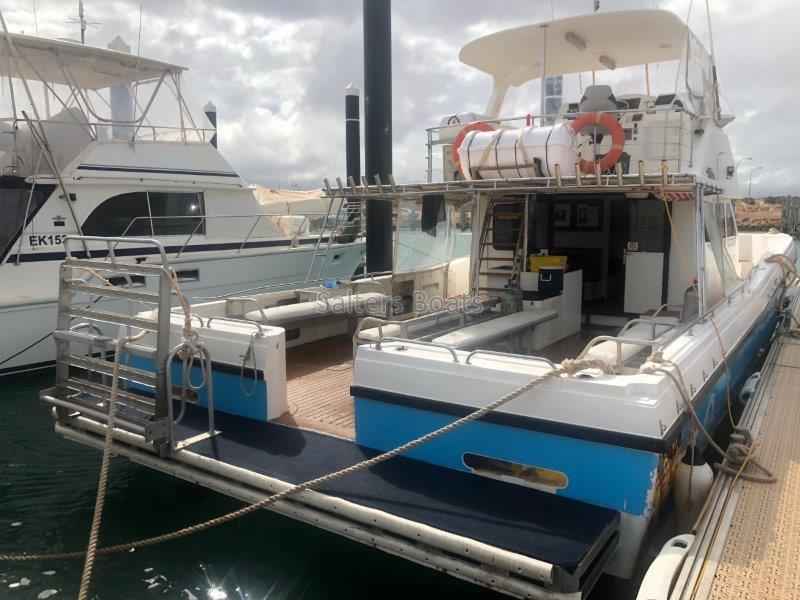 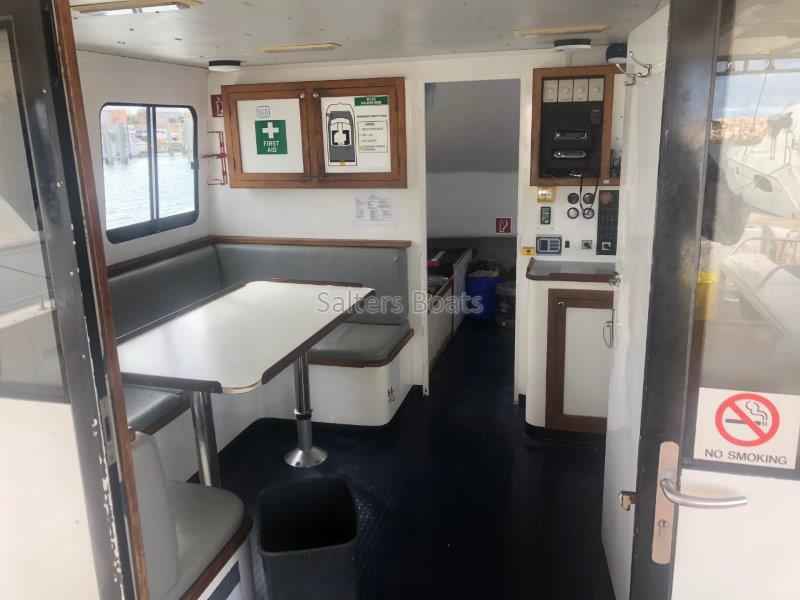 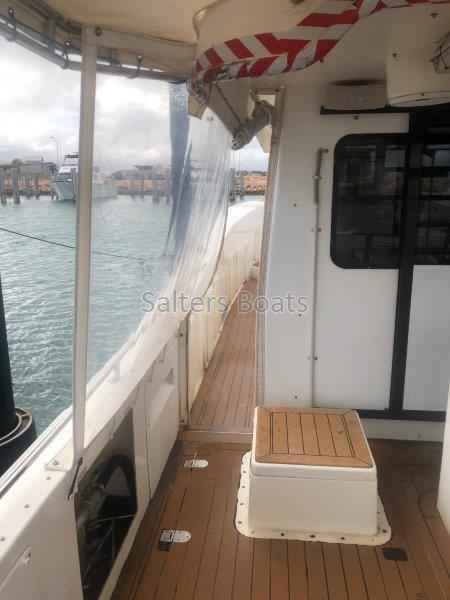 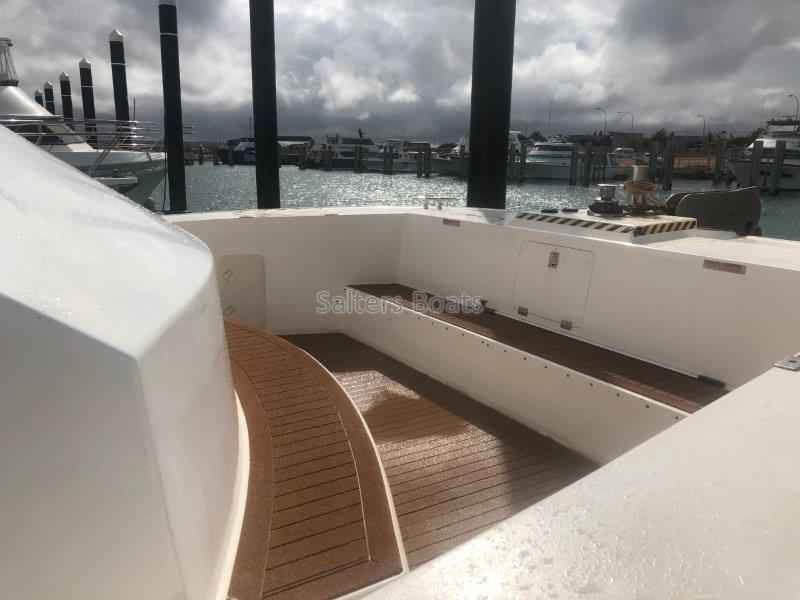 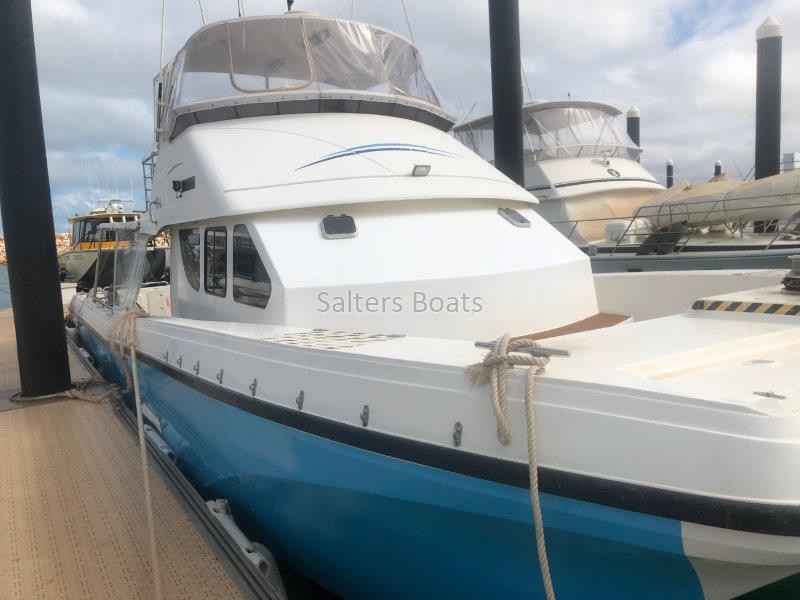 Very well designed layout for dive/fishing charter work, with walk around side decks leading to the open bow area. 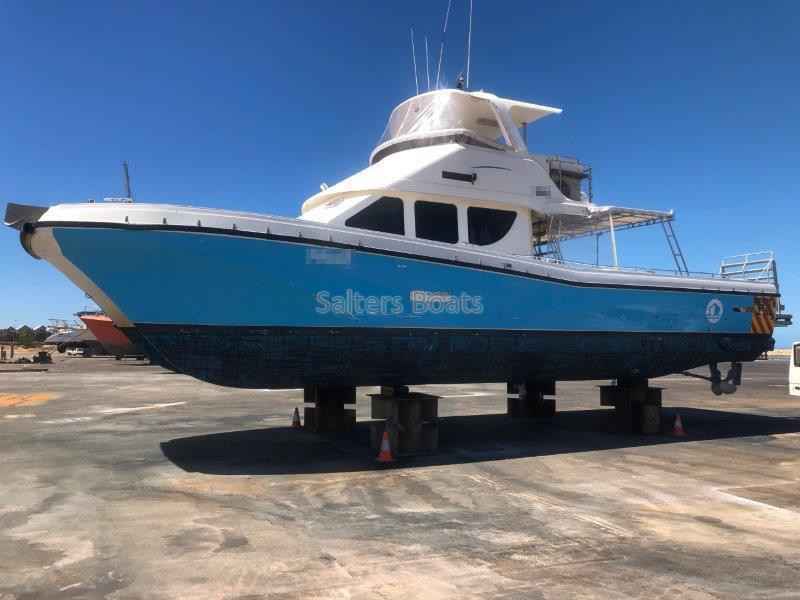 This vessel is worth inspecting!